I’m so excited to be part of the Harmony Arts Festival again this year! 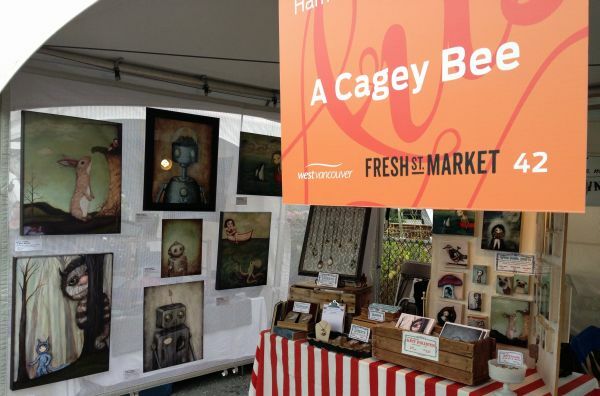 It is one of my favorite markets of the year & nothing beats its beautiful location along the water in West Vancouver. The span of artist tents runs for 3 blocks all along Argyle Street, between 14th & 16th Street. Aside from visiting some very high end, talented artisans, there’s a wine garden, daily concerts, late night movies in the park, fantastic food, plus lots of workshops & artist demonstrations. I’m in tent 42 this year, alongside Matthew Freed, who makes incredible pottery. I bought one of his French butter dishes for my parents last summer & they still rave about it. I have lots of new, original paintings up for sale this weekend, plus a selection of my new large prints on canvas & metal. Harmony Arts Festival runs the first two weekends in August.